Beautiful maps of Westeros and the rest of the known world as shown in Game of Thrones. 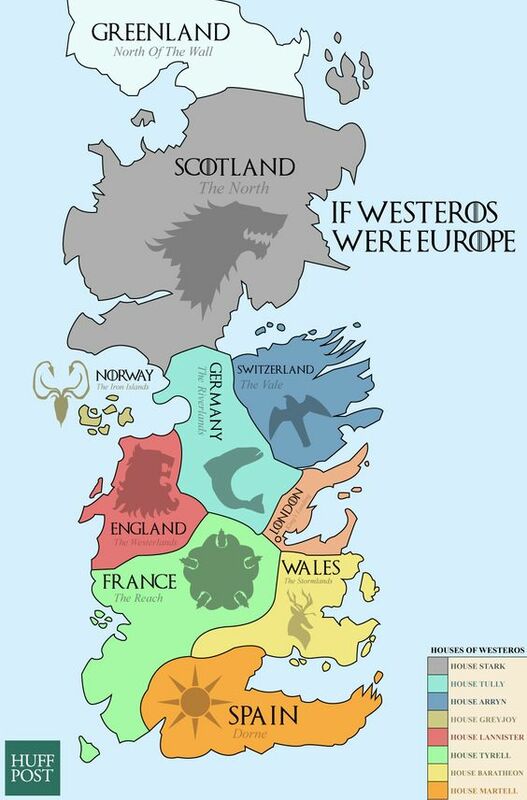 The world of Game of Thrones is divided into four major landmasses divided into seven kingdoms. The story’s main focus is on Westeros. Everybody and every kingdom and city-states are fighting everyone else to gain control of the entire Westeros and the 7 kingdoms. Everyone wants to either sit on the Iron Throne or be in a good relationship with the person sitting on the Iron Throne. At the very bottom of Westeros, you have Dorne. 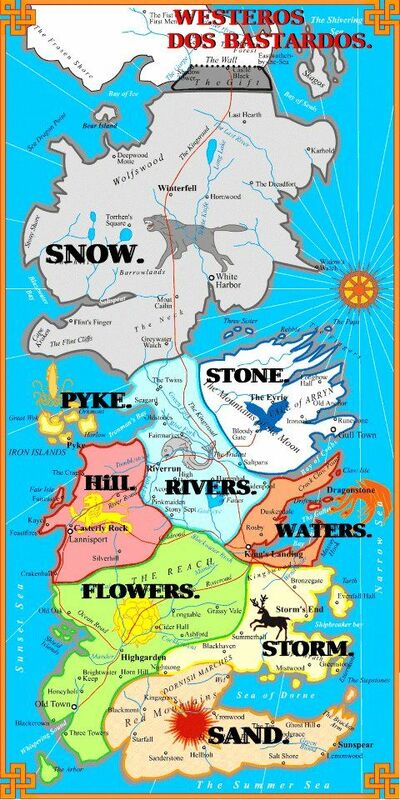 It is separated from the rest of Westeros by Red Hills. To the west, you have The Reach. It is the most fertile region in the continent. Above Dorne, you have the Stormlands. This one is a rocky and marshy land and also contains many forests. Above it is Crownlands (Waters), the seat of the Iron Throne. The capital city of Westeros, King’s Landing, is in the Waters region. To the west, you have the Westerland, a mountainous region with gold and silver mines. They are the richest household. The region in the center of the continent is called Riverlands, a medley of plains, hills, forests, and numerous rivers. The islands to the west are called the Iron Islands. The seas around the islands are very stormy and destructive and have also destroyed and eroded most of the Pyke castle. To the islands’ diametric right, we have The Vale, a high mountainous region. 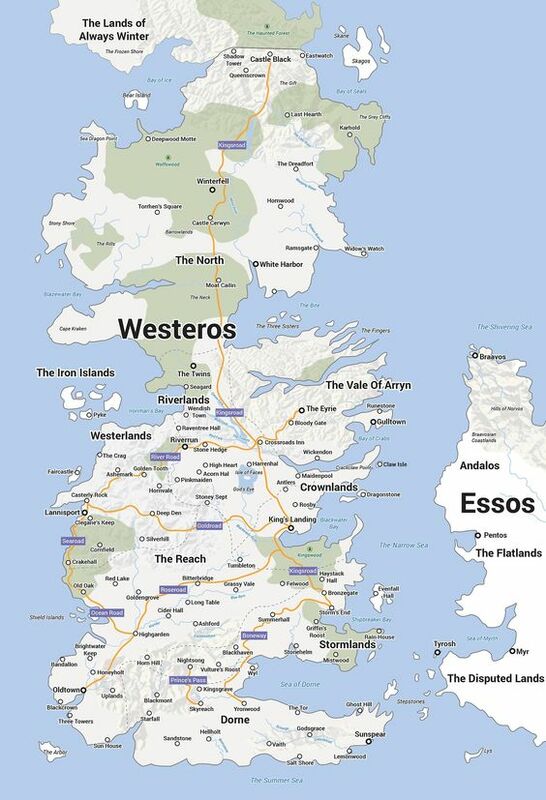 Lastly, the North is the largest of the seven kingdoms, and it is called Winterfell. Another continent, Essos is further south and the weather is hotter and it is a region made up of several free city-states. Hope you enjoyed this collection of GOT maps! Please comment below if you anything is missed and you would want that to be included. Many thanks!